When Antonio Guterres stepped in to the UN Secretary General role, I was hoping things may improve, especially after he gave this speech, which caused some good old fashioned palestinian fuming. But it is now clear to me, these are just words. Remember, Arafat was a murderous thug committed to Israel’s destruction. 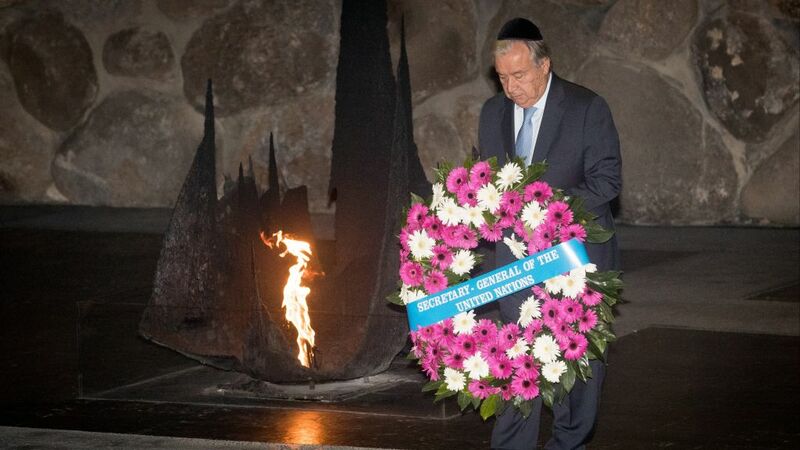 By his own logic, Guterres was honoring a modern antisemite – a day after visiting Yad Vashem, where the results of antisemitism are so starkly on display. So yeah, it looks like Antonio Guterres is much of the same.